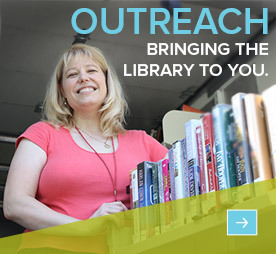 From traditional Library services, such as Library Card applications and interlibrary loan, to some of the more unique services, such as voter registration and Community Room reservations, Dayton Metro Library strives to offer services that support our mission to inform, inspire, and enrich our community. Dayton Metro Library is proud to provide not only a broad collection of physical books, music, movies, and magazines for all ages – but also an extensive Digital Collection as well. Your Dayton Metro Library card allows you to borrow from both the physical and digital collections. The Library offers meeting rooms, tutoring spaces and more at each of the Branches. See what’s available at your Branch and learn about our reservation policies. Entrepreneurs and Small Business Owners, Educators and Parents interested in Early Childhood Literacy and Nonprofit Professionals will find specially-designated Centers of Excellence with the resources, information, services, and support needed to take the next big step. You’ll need a form to register to vote, become a Golden Buckeye, or prepare your state or federal taxes. The Library is your resource for these and more. Come into any Branch to get these forms or print them out at home. Free sign language interpretation can be arranged for any library program by calling 937.496.8901 at least one week in advance. Selam. Hola. Zdravstvuyte. Bonjour. Sawubona. Dia dhuit. Namaste. Ahalan. The Dayton Metro Library provides important forms in many languages to meet the needs of all our citizens.